Have you ever thought of having kids see beyond the art? What if you took a classic like the American Gothic and had kids write what they see beyond the painting. Why not take it a step further and add their writing as the augmented content. There are a few ways to do this. If you are wanting kids to all write about the same piece of art then each kiddo will need their own code within Blippar. If you need help setting up a code for each kid please contact me and I would love to help you. You could also have different pieces of art per kid so that there will then only be one code to enter within the Blippar app. 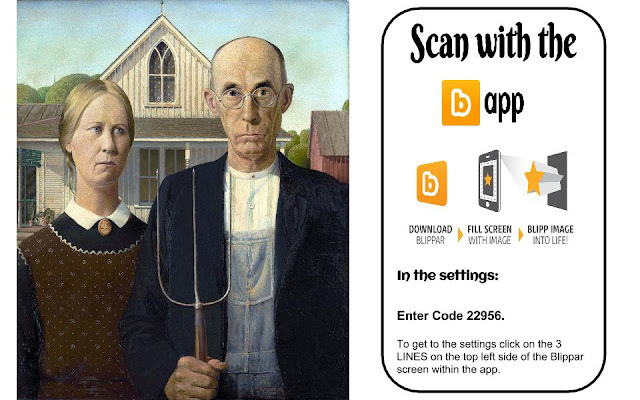 What I did for the augmented parts is I imported the American Gothic into Google Draw. Before I did that I did change my page setting to Widescreen 16x10. I place the picture on the left side of my page and added a text box to the right side. After I finished with my writing I downloaded my Google Drawing as a jpg file (a.k.a. a picture file). In the Blippbuilder I uploaded a video about the painting and in the settings I told it to play 1st. I then uploaded my story which I saved as a jpg. I also included a website link to facts about the piece of art. Once your kids have made their augmented pieces of art have an art show. I would include the Blippar code with each piece of art along with instructions on how to use the app. You can even include the student's version of the classic art within the augmented content. 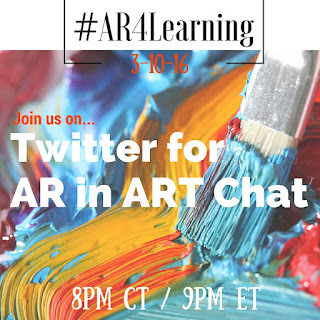 The possibilities to unlocking the magic of augmented reality with art is endless. 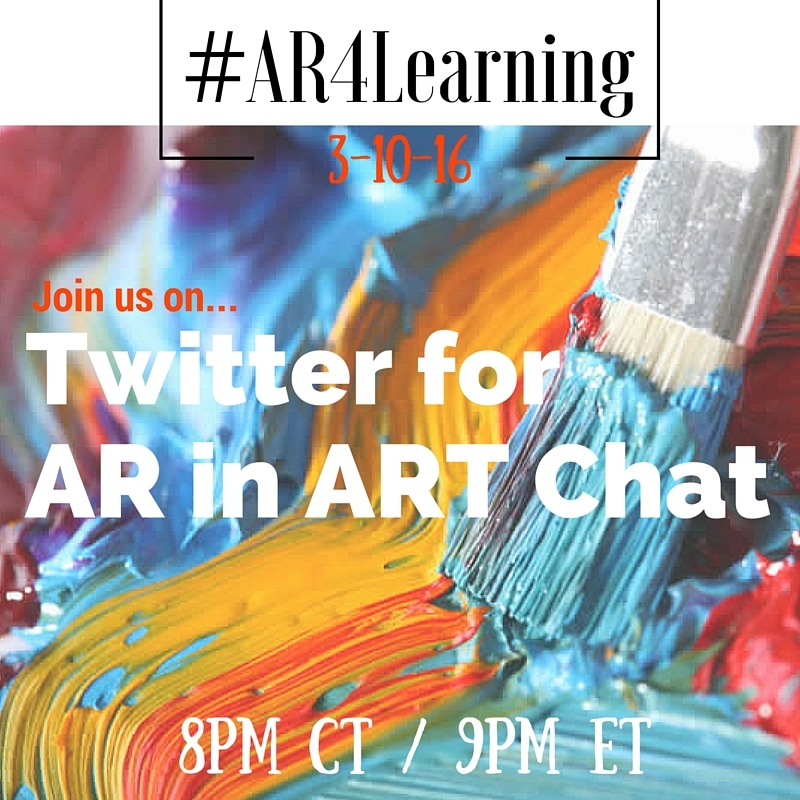 Join us on March 10th @ 8pm CT / 9pm ET on Twitter for #AR4Learning as we chat about ways to use augmented reality in art.